The end of decent European versions of quirky Japanese games? 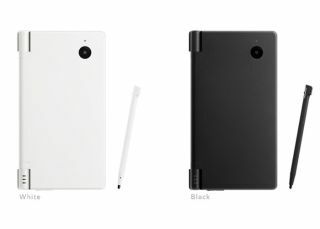 Nintendo's new DSi, out in Japan next month and in the UK next spring, is set to feature DVD-style region-locking, much to the dismay of the company's legions of European fans. "DSi software (software that is only compatible with DSi) is region locked, for example: European DSi software can only be played on European DSi consoles," a Nintendo spokesperson told CVG, which basically means that DSi downloadable games and DSi-only cartridge-based games will be region locked. Nintendo told CVG: "DSi is region locked because DSi embeds net communication functionality within itself and we are intending to provide net services specifically tailored for each region. "Also because we are including parental control functionality for Nintendo DSi and each region has its unique age limit made by different independent." There is concern amongst Nintendo's European fans that Europe might not get the quality and selection of DSi titles due to this region-locking strategy. "Why should gamers be up in arms about such a limited region lock?" ElectrigPig's veteran videogame journo, Simon Munk, asks rhetorically. He claims that the strategy will mean fewer quirky, leftfield titles for European DSi gamers, in addition to giving Nintendo more control over pricing and digital distribution in Europe. "And they're traditionally not very good at getting stuff to Europe very quickly…" Munk worryingly reminds us. "The history of videogames coming from Japan to Europe is one of delays, broken promises and poor conversions. Expect to wait a long time for popular DSi games to go from Japan to Europe."